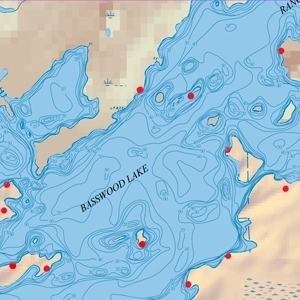 This map details the Basswood Lake area of the BWCA and Quetico Park. Ideal for the anglers because it has lake depth contours. Scale is 1:31680.